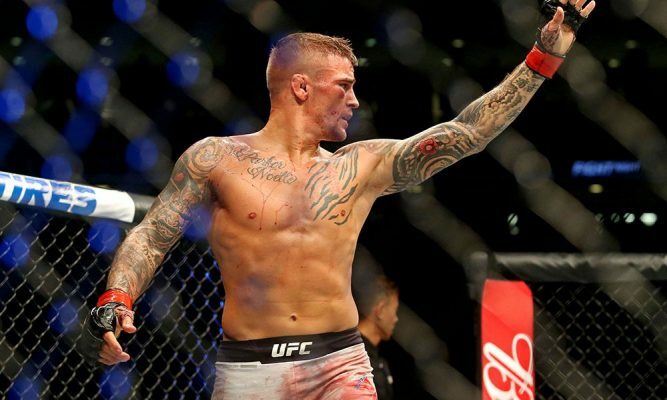 Dustin Poirier has suffered an injury in training that has forced him out of his co-main event bout against Nate Diaz at UFC 230 on Nov. 3. Sources close to the situation confirmed the news on Tuesday following an initial report from ESPN. It’s been a wild day for the UFC 230 fight card after a new main event was just announced between heavyweight champion Daniel Cormier and No. 2 ranked contender Derrick Lewis. Now just hours later, UFC 230 loses a marquee co-main event with Poirier vs. Diaz being scrapped less than a month before the card takes place. The UFC hasn’t made any official announcement regarding the change to the card and there’s no word if Diaz would even consider taking on a short notice replacement now that Poirier is out. What is certain is Poirier will no longer fight at UFC 230 and the Nov. 3 card braces for any further changes with the days dwindling down until the show takes place.